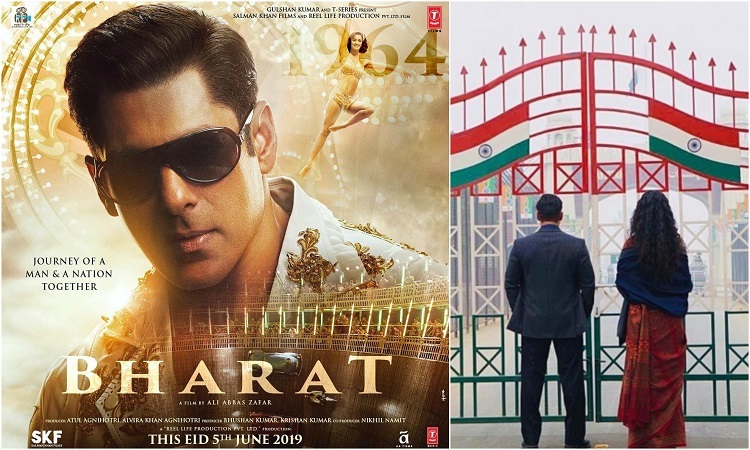 After revealing one of his five looks, Salman Khan recently took to social media to share the second look from his upcoming film Bharat. Unlike the previous poster, the new poster showcases Salman Khan in a much younger avatar. Sharing the picture, Salman Khan tweeted, "Jawaani humari Jaaneman thi! #BharatKiJawaani." The eyes are more hooked onto glamourous Disha, who's seen flying high there in the second poster, bringing the old world charm of the '60s era. The first poster of Bharat has come in as a surprise for Salman Khan fans all over as the actor sports a never seen before look of an old, rugged, wise and experienced man with the grey mustache, beard, and hair. Bharat will trace the journey of a man spanning six decades; hence, Salman Khan will be seen sporting six varied looks through the years of his life. Earlier, the makers treated the audience with the teaser that gives glimpses into the facades of the film.